What Does Code P2413 Mean? Diagnostic trouble code (DTC) P2413 stands for Exhaust Gas Recirculation (EGR) System Malfunction. The EGR system is designed to lower combustion temperatures, thereby reducing oxides of nitrogen (NOx) emissions. 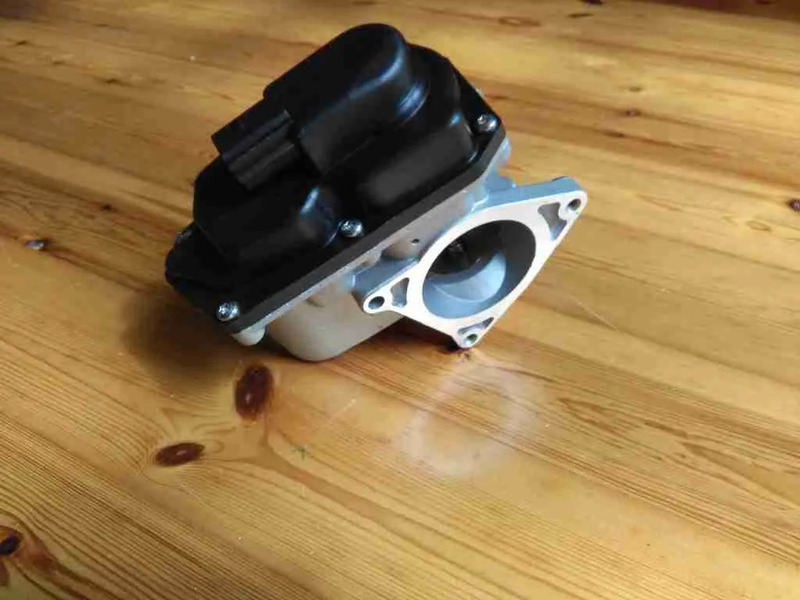 At the heart of the system is the EGR valve, a device that allows exhaust gases to flow into the intake manifold and combine with the air/fuel mixture. From there, the mixture, which is diluted and cooled, moves into the engine combustion chamber where it is burned. In the past, many EGR valves were vacuum-operated. Nowadays, however, nearly all are electronically controlled. Most electronic devices have a built-in solenoid (or stepper motor) that raises the pintle inside the EGR valve off its seat. When the pintle moves, exhaust gases are allowed to flow into an orifice, through passages and into the intake manifold. The vehicle’s main computer, the powertrain control module (PCM), manages EGR valve operation in an electronically-controlled system. Sensors – such as the manifold absolute pressure (MAP) sensor, mass airflow (MAF) sensor and engine coolant temperature (ECT) sensor – supply data to the PCM regarding engine operation. The PCM then uses that information to determine when to open and close the EGR valve. DTC P2413 indicates the PCM has detected a problem with EGR system operation. The code is common on vehicles built by Honda Motor Company, though some other manufacturers support it as well. On turbodiesel engines, such as the Volkswagen TDI 2.0L, the code is commonly attributed to a problem in the intake or exhaust systems that may affect turbo performance. In this article, though, we will focus on how the code applies to naturally-aspirated gasoline engines. Where is the P2413 sensor located? Most EGR valves are found in the engine compartment, mounted to the intake manifold. A pipe connects the valve to the exhaust system. What are the common causes of code P2413? What are the symptoms of code P2413? How do you troubleshoot code P2413? Start by performing a visual inspection of the EGR system, looking for damaged components, loose connections, etc. Next, check for technical service bulletins (TSBs) that pertain to the concern. If none are found, begin a sequential diagnosis of the system. Keep in mind: diagnostic procedures vary from vehicle to vehicle. There a dozens of different EGR designs in use, so consult the factory repair information for your specific application before proceeding. The following is just a basic overview for troubleshooting one type of system. As was mentioned, code P2413 is common to Honda Motor Company vehicles. Many modern EGR valves, including those found on Honda cars, have a built-in position sensor. The PCM monitors the position sensor to determine the amount of actual EGR valve lift compared to the desired amount stored in memory. One way to test this type of EGR valve is with a scan tool. Start by looking at the “desired” and “actual” EGR position data PIDS. Typically, the two values should be similar to one another. OEM-level scan tools also provide bi-directional controls that allow the user to command a certain valve position. 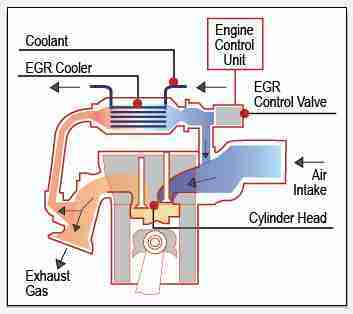 If the valve fails to respond to the command – or the “desired” vs. “actual” parameters vary significantly – there is a problem with the EGR valve or its control circuit. There are a couple of other ways to inspect the valve as well. Some manufacturers supply resistance specifications for the EGR valve solenoid. A digital multimeter (DMM) can be used to check the resistance and compare it to the OEM specifications. Also, it may be possible to use a jumper wire to power the EGR valve, listening for a noticeable change in engine performance (the engine should run rough/stall if the valve is working properly). Removing the valve and checking it for carbon deposits can be helpful as well. Before condemning the valve, it’s wise to check the control circuit. Although designs vary, a typical Honda EGR valve has five wires going to it: sensor reference voltage, sensor input, sensor ground, EGR valve control and EGR valve ground. Start by using a DMM to ensure the position sensor has a good ground, and that it’s receiving reference voltage from the PCM. Also, check that the EGR valve has a good ground and that there is continuity between the valve control pin on the PCM connector and the control pin on the EGR connector. Should you find any of the above are missing, trace the factory wiring diagram to diagnose and repair the circuit. If the circuit checks out, but the EGR system failed prior tests, the valve is likely faulty and should be replaced. Before replacing the valve, though, it’s wise to check for external factors, such as clogged EGR passages and exhaust leaks. None found. Ask a question about P2413.